For over a decade TMC has covered AVST and their wonderful unified messaging solutions - which in the nineties were the talk of the industry. But as is sometimes the case, when the industry talks about the next big thing, it doesn't always take off overnight. While UM was slow to catch on in the nineties, the last few years have seen an explosion of interest in both UM and UC. While you may think this is a long time to wait, remember some are still waiting for the glorious age of OS/2 to finally arrive. 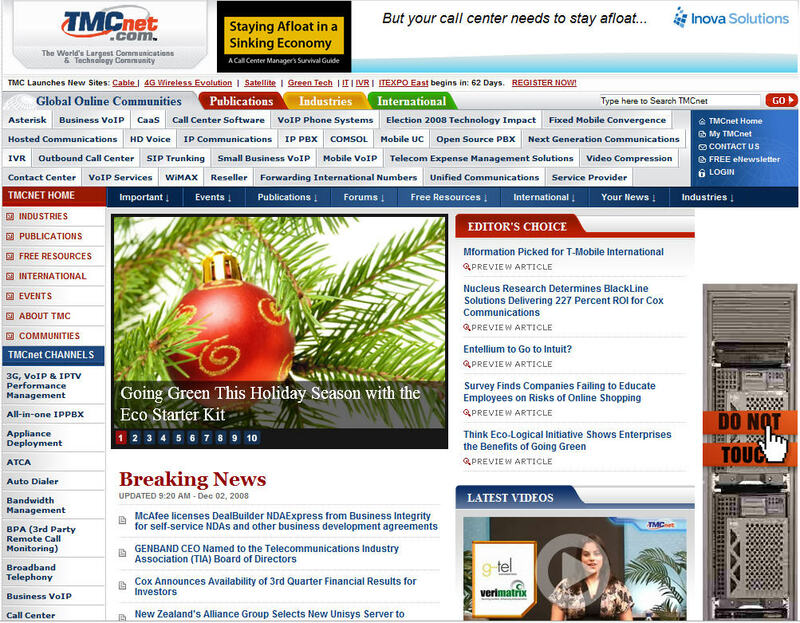 Great news for readers of TMCnet blogs. As you know we now have 40 bloggers and continue to innovate with technology and integration additions to our blogs which allow you to use your social networking login to comment on our blog entries. But that was so yesterday. Today the TMC team announced a new venture in partnership with Carl Ford, Scott Kargman, Joann Varello and others from the former VON team who currently work for Crossfire Media. The partnership includes web sites and events and will focus on the fourth generation or 4G wireless space. It goes without saying that Carl and Scott are very well known for the strong relationships and community the built in the fledgling days of IP communications. We entered this partnership with Crossfire Media to leverage these relationships. Telnic unveiled the technology that powers .tel service at DEMOfall in San Diego in September. Since then, the domain name has been dubbed as "game-changing", "the white pages killer" and "the Google of online address books". A number of brand owners have already started the documentation process to apply for their trademarks with the registrars.